Blake keeps hearing strange signals that compels him to alter the Libreator's course to a supssedly deserted asteroid. He also keeps having flashbacks to his past when he was brainwashed into denouncing the Freedom Party that he was once a member of. The rest of the crew restrain Blake and attempt, unsuccessfully, to block the signals that Blake is receiving. Blake perusades to release him from his restraints and help him teleport down to the asteroid. Once down, Blake meets up with a group of fellow rebels, including Shivan - a heavily bandaged rebel leader who was previously thought dead. Also amongst the group is Ven Glynd, a former Federation official who was responsible for Blake being put on trial in the first episode. He has now abandoned the Federation and has enough evidence on its leaders to bring the Federation down. It was these people who sent the mental signals to Blake to bring him to them. Shivan and Ven Glynd return to the Liberator with Blake and the the ship travels to the planet Atlay where there is a meeting of the Governors of various worlds. En route they pick up one such Governor named LeGrand. She is sympathetic to the rebels' cause and will put forward Ven Glynd's evidence at the meeting on Atlay. Meanwhile. Avon is suspicous and still belives Blake to be under mental control, despite being told otherwise. Upon reaching Atlay, Blake, Jenna and Vila teleport down with the Governor and Ven Glynd leaving Shivan on board the ship. Shivan then reveals himself to be Travis in disguise, having infiltrated the rebel group and relayed all information back to Servalan. The meeting is a trap. The group on the planet's surface find nothing but an empty meeting room. There they are confronted by an image of Servalan on a big screen and a squad of Federation guards. The guards kill the Governor and Ven Glynd. Blake who has been incapacitated by the machine that is mentally controlling him is helped to safety by Vila and Jenna. Meanwhile Travis is teleported down to the planet by Avon who then destroys the machine that Travis had been using to control Blake. He then rescues Blake and the others and they make their escape. Blake: Blake spends almost the entire episode under the control of Travis' device but you'd actually be hard-pressed to notice it for the most part. The quote at the top of this post is spoken by Blake when he's unknowingly under the influence of the machine but it sounds like the sort of speech he might have made at the start of this season. He has long been frustrated as his lack of progress and is once again becoming obsessed with finding the Federation's Central Control (now known as Star One) and destroying both it and the Federation. In fact, Blake doesn't really act out of character at all in this episode beyond locking the rest of the crew up so that he can go and meet with Shivan. Even this is not too extreme though as this isn't the first time that Blake has followed his own agenda with scant regard for the feelings of the rest of the crew (see 'Pressure Point' and 'Trial' for more examples of this). 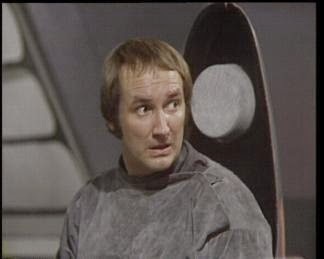 Avon: Needless to say, Avon is suspicious of Blake's new allies (particularly Ven Glynd) and the means by which they contacted Blake. He is, of course, proven right when Shivan is revealed to be Travis in disguise. It's Avon who saves the day and restores Blake by destroying the machine that had control over Blake's mind, although he seems a little regretful that Blake is back to normal. Jenna: When Blake initially falls under the control of Travis' device and begins experiencing flashbacks, Orac suggests linking Jenna's mind to Blake's in order to cancel out the effects of the device and stop the flashbacks. 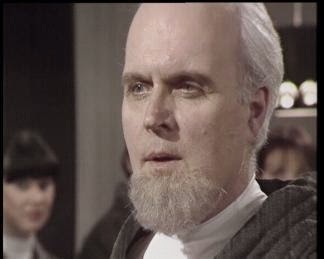 Orac's plan fails but it's interesting that he picked Jenna rather than, say, Cally who one would imagine is far more suited to dealing with matters of the mind. It's certainly been hinted that Jenna and Blake have quite a close relationship and, other than Vila, she's known Blake longer than anyone else on the ship. It's possible that Orac picked Jenna on the basis of this relationship, feeling that she would be best suited to help Blake. Vila:Once again Vila is made to look a fool. When the mentally controlled Blake is under restraint early on in the episode, he tricks Vila into releasing him. 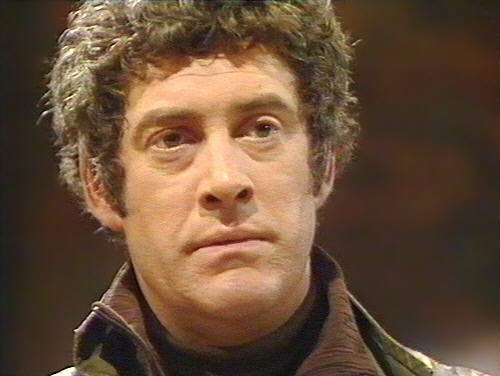 He also perusades Vila that it is Avon and Cally who are up to no good and Vila ends up aiding Blake in going to meet with 'Shivan'. I'm not sure if this is a comment on Blake's powers of persuasion or on how gulliable Vila is. Sadly I think it's the latter. 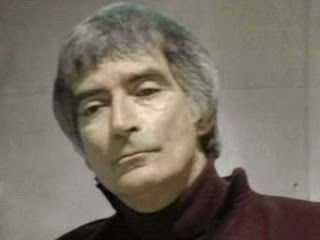 Cally: When Blake starts acting oddly, Cally works with Avon and Orac to find out what has happened to him. She discovers that the device was orignally developed by some of her own people who had then sold the machine to the Federation. 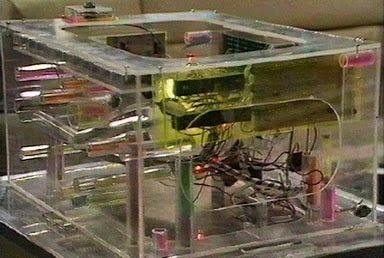 Orac: Orac finally gets a decent amount to do in this episode. Initially he takes on the role of therapist as he tries to help Blake through one of his flashback sessions - unsuccessfully as it turns out. 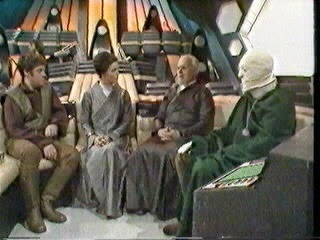 It's one of the rare occasions that Orac seems like a genuine character rather than just a super-intelligent computer. 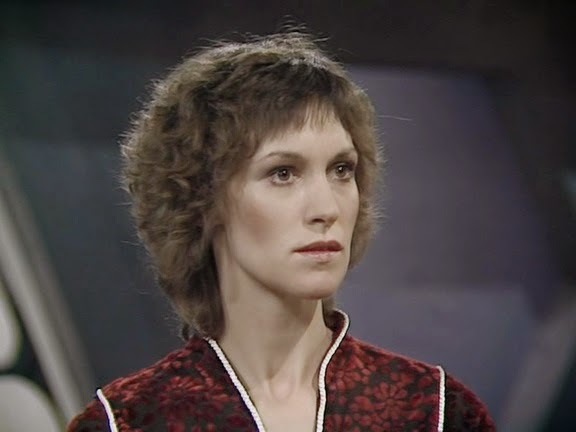 Servalan: She has plotted with Travis to take out several traitors within the upper-echelons of the Federation as well as capturing and/or killing Blake. The entire episode is her elaborate plan and it culminates in a similar way to 'Pressure Point' with the heroes being trapped in an empty room. By now it's apparant that Servalan is someone with a great deal of style and that is apparant as she finally triggers her trap. She appears on a big screen while Federation guards stand illuminated under spotlights looking like they're about to be voted of Strictly Come Dancing. Servalan literally has a captive audience as she delivers her speech and she milks the moment for all that it's worth. Travis: As you can see, as part of the plan cooked up between himself and Servalan, Travis puts on a ridiculous disguise and effects an extremely dodgy French accent to go undercover as Shivan. That said, ridiculous as his disguise is, it seems to prove effective. He not only manages to infiltrate the rebel group but also comes the closest yet to capturing the Liberator. From what I can gather this episode seems to have a fairly poor reception amongst fans and yet it doesn't seem as bad as its reputation would suggest. There are some good ideas there but the execution is a little clumsy. The biggest issue is Travis who's disguise is so poor I'm surprised that it managed to convince anyone. 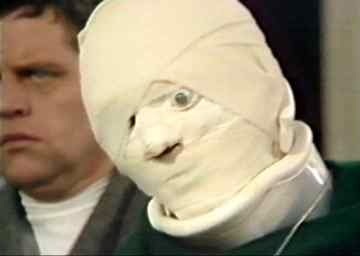 It's painfully obvious to the viewers that 'Shivan' is not all he seems and I don't think it would take a genius to work out that it was Travis underneath all the bandages. The other real issue I have is that we have a returning character from the very episode of the series in Ven Glynd but, for some reason he is played by a different actor. 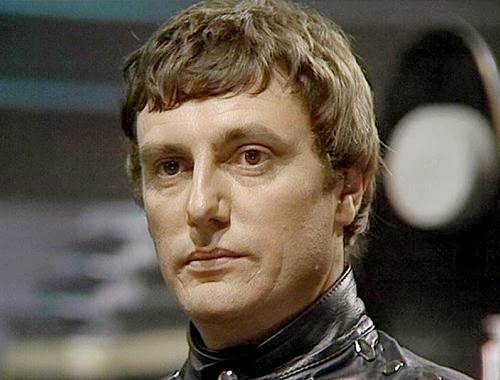 Given that the character isn't really that well-known in the first place, it would have doubtless helped audience recognition if they had either got the original actor back to reprise or found an alternative actor who at least looked similar to the original. Unfortunately the production team failed in both respects as we have here an actor who looks so completely different to the original that virtually no one is going to know who he's supposed to be. In the end it might have been better just to have a new character instead of Ven Glynd. These quibbles aside though, this is a very entertaining episode. All of the crew, even Orac, get a decentamount to do and no one is left twiddling their thumbs by the teleport controls as has been the case in recent episodes. 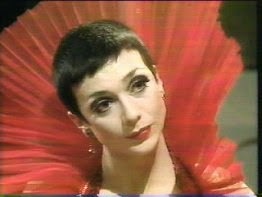 Also the scene where Servalan finally closes her trap is a highlight. Yes, it looks a little over the top but it's well-executed nevertheless. Next time we go from a fan-hated episode to a fan-favourite with 'Gambit'.